S&KC Mod Loader Now with integrated music playback! Someone on SSRG posted a request for help with getting a level they had converted into Sonic & Knuckles Collection, but there was no easy way to do it, so I sought to rectify that. Additionally you can add a DLLFile line pointing to a DLL file to load, and an EXEData line pointing to an INI file listing data to be replaced in the EXE. Could this potentially make possible in future a mod to display from high colour graphics rather than limited pallete (if developed)? perhaps even higher resolution tilesets? But it would require a lot more research than has been done so far, and a lot of recoding things. I open the music config tool, assign an mp3 on my hard drive to AIZ on both All and S3&K by clicking the "File..." button, and it still plays the SMPS AIZ1 theme. Checking the Music.ini file confirms that the track was properly added to the ini file. I even tried using one of the music tracks from your Mania music mod and nothing. If I click "List..." and, say, assign the HCZ1 theme to AIZ1, it gets properly replaced with SMPS HCZ1. Sounds like it's failing to read the sound file. I should probably have it display that in the log. Either you're using an unsupported format, or I screwed something up. It couldn't be an unsupported format, I tried the music files from your Mania Music mod. Oh, wait. You used files from outside the Music folder, didn't you. The mod loader just dumbly adds the relative path to the folder in question to each file, so if you have a full path, it ends up becoming invalid. Nice to see that your mod manager is compatible with Korama's patches, the S&KC HD Audio patch conflicted with them. Any plans for adding FLAC support and/or MD sound effects? Edit: Bug report - I've noticed that the speed shoes slow down the music if you're using the SMPS audio, but work properly with custom tracks. FLAC, sure I guess. MD sound effects would require ValleyBell to add support for them to SMPSPlay, and would require me to figure out how I can replace the game's sound effect playback. Thanks for adding FLAC support. As for the SFX. Well, I suppose SMPS isn't a requirement; I would be happy with just being able to replace the sound effects with custom audio files, that way it would be possible to replicate the MD SFX by using rips. But I'll understand if you're not planning to look into the matter any time soon, since this mod loader is probably not a priority for you compared with the ones for the other games. I'll just say that I appreciate the community fixing Sega's shoddy ports one step at a time. Edit: The newest version of the mod loader is missing the music config tool. Also, FLAC playback isn't working for me for some reason, even though I put the track in the Music folder and properly edited the .ini file. This is why it's important to at least test that your code builds before you ship it. Not only was it missing the music config tool, it was missing the mod loader and mod manager too. Now that the mod loader is actually in the update, if FLAC support doesn't work, I have no explanation, I'm pretty sure I'm loading the plugin properly. As for sound effects, I would be totally up for implementing SMPS if the opportunity became available. As for using better recordings, that's entirely possible now. SKCsnd can be used to import sound effects at any chosen quality level, and if you want to make the game play them, a small C++ or cheat code mod could easily do it. It's just a matter of someone taking the time to organize and rip all the sound effects. Oh, it's working now. A minor thing, though: You forgot to add the .flac extension to the open dialog in the music config tool. 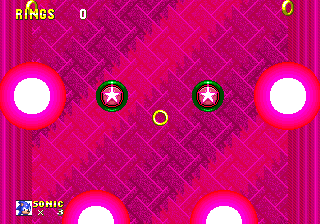 A glitch I found: If I have a custom track set to Invincibility or Super Sonic, place 4 or more Super monitors with debug mode, break them to go Hyper and get 200+ rings, then grab a ring (thus gaining a life), the 1up jingle starts playing endlessly. It doesn't occur with 100 rings, or if I had previously gained a life, or if I'm using the SMPS invincibility tune. If I attempt to replicate the glitch with the Mania Music mod, the 1up jingle plays only once as expected, but then the bgm stops playing. Another minor one is that the mod loader breaks the menu sound test: it cannot play SMPS music, and custom tracks play but the Stop button doesn't work. Not a huge deal though, and the level select sound test still works. Oh, I thought using the SKCsnd method restricted you to a lower sound quality than the original MD version? By default, it does. But there are options to change the quality. I've attempted to fix the 1up issue. As for the sound test, I can't imagine why it doesn't work properly, but perhaps I can replace it with my own eventually. Edit: oops I made the 1up handling worse on accident. Are you talking about the hex edit hack to the executable to tweak the bgm sample rate? Nice, I didn't realize S&KC had slightly darker colors. It's subtle, but it looks better with the mod. Perhaps you would like to look into that?